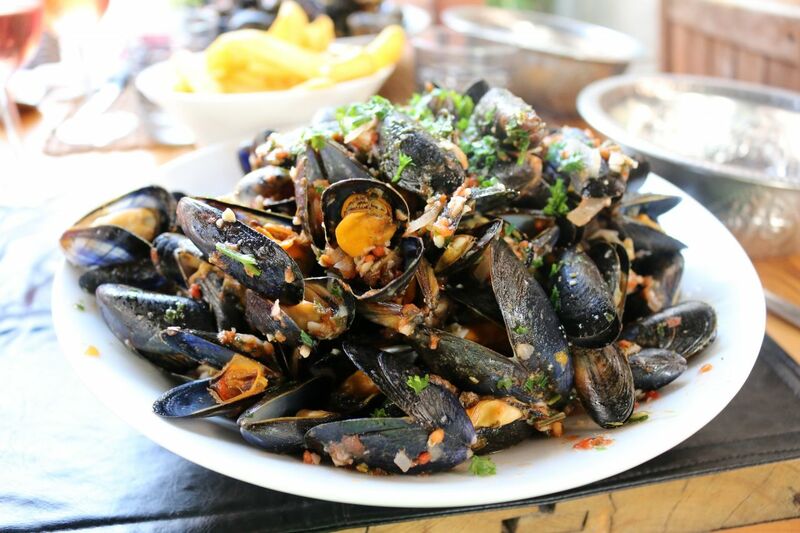 Scrub the mussels in a large bowl of cold water and discard any that don’t close after a sharp tap on the sink. Drain and set aside. Heat the oil in a pan large enough to hold the mussels, add the chili and cook over a low heat for 2 minutes until soft. Add the mussels and wine. Cover and cook over a high heat for 2 minutes or until the shells have opened. Discard any mussels that have not opened. Pour in the cream and cook over a low heat for 2 minutes. Add the basil and stir well Serve in large warm bowls with rustic bread to mop up the sauce.